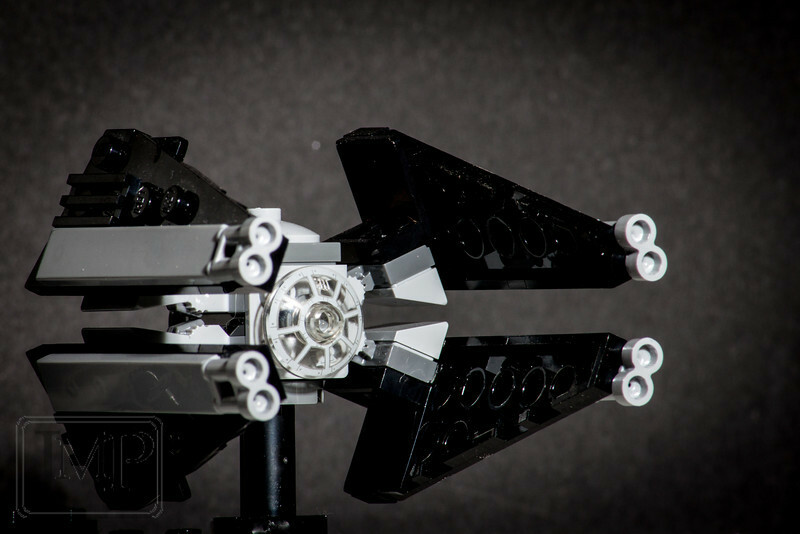 TIE Advanced - Week 12: On a Shelf - My son is really into Lego sets, and I have to admit that the today's Lego sets are a bit cooler than when I was a kid. Every now and then I'll even pick up a little something for myself, like this mini TIE Advanced fighter model. It sits on a shelf in my studio along with a few other models I have collected. I lit this shot using a single studio strobe with a long snoot on it to create the hard directional light as if it was flying towards a distant star. I also added the black cardboard behind the shelf as it works better for this shot than the white wall of my studio did.